Although Ministry tags and Personal tags have different security settings, the overall setup of both is the same. Personal Tags are specific to the user logged in. Only the user that created the tag can view and edit the tag and therefore Personal Tags do not have security settings. Ministry Tags are used to track individuals as they relate to your organization's ministries. Security rights for a Ministry Tag can be assigned to any security role or individual. The Treeview shows a visual representation of how the tags relate to each other. It can be viewed by clicking the Show Treeview button. The Treeview contains a toggle that switches between showing inactive tags (Show All link) and hiding the inactive tags (Hide Inactive link). Click the link if you would like hide the Treeview and have more space on your screen to view the various tabs. 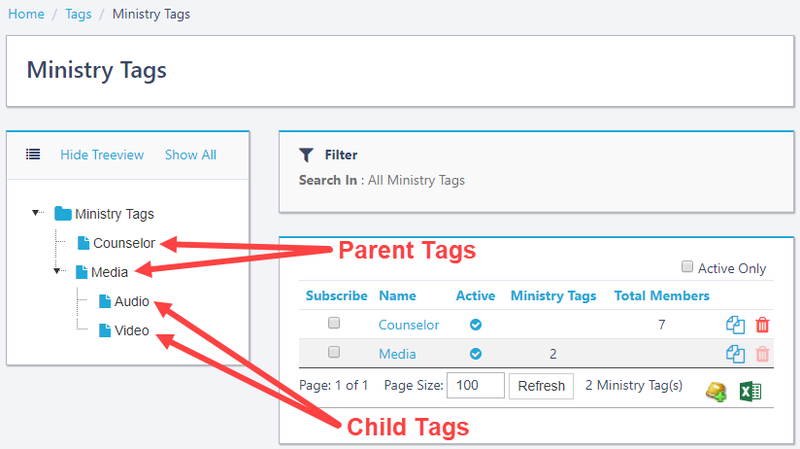 All tags that relate directly to the Ministry Tags folder are referred to as Parent tags. Any tag that is under a Parent tag is referred to as a Child tag. You can add unlimited number of child tag levels under a Parent tag. NOTE: Members can be added to both Parent or Child tags. NOTE: Before creating Ministry Tags, consider how the tags are going to be organized in the tree structure and how security should be assigned for staff to access each tag appropriately. 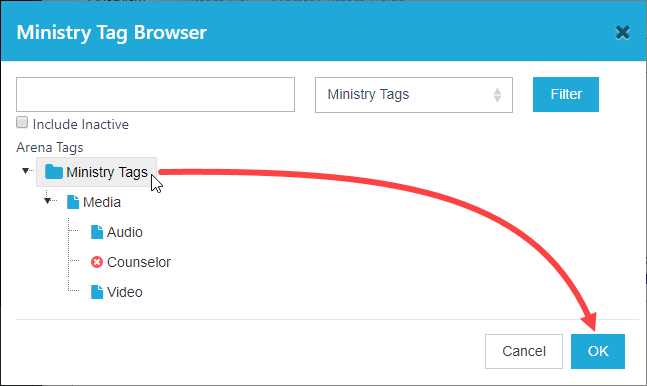 The following steps walk you through the process of creating a Ministry tag. 1. From the Tags menu, click the Ministry Tags option. 2. Click the Add New Tag icon in the lower right-hand corner. 3. In the Overview box, enter a Name for this tag. 4. Enter any other fields, as appropriate. •Active: By default, new tags are marked as "Active". If you are no longer using a tag but want to retain the history, you can uncheck the Active check box to make the tag inactive. Inactive tags can be excluded from reports and from the Tag Treeview while maintaining the history information for the tag. 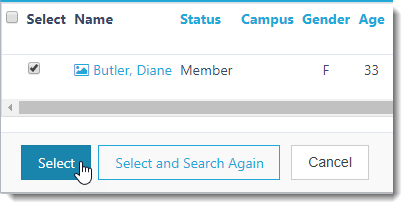 •Campus: Use this option to specify a specific campus if you have multiple campuses and want this tag to be specific to one of those campuses. •Default Start Time: This is the default start time that is used when adding a new occurrence. •Default End Time: This is the default end time that is used when adding a new occurrence. •Relationships: These bars indicate the strength of the relationship between this tag and the owner, and between this tag and the members. The relationship strength can be set from 0 (Weak) to 4 (Strong). Once you move a relationship scale from the weak position, Arena calculates a numerical value that represents the strength of the relationship. The scores show in the Peer Network section on the Person Detail page. •Address: Places Street, City, State, and Zip fields on the form. •Area: Places a list of existing areas on the form in a drop down list format. •Check Box: Places a check box for each value added in the Value field. Enter the values separated by commas. You can select any or all of the available options. •Custom Query: Allows a custom query. •Date: Places a date field with a Calendar icon. •Document: Allows a user to upload a document. •Drop-down List: Places a drop-down list populated with each value added in the Value field. •Image: This allows users to upload an image. •Lookup Type: Allow you to select from a list of Lookup fields. •Person: Allows you to select an existing record. •Phone Number: Allows you to enter a telephone number. •Radio List: Places a radio button for each value added in the Value field. Users can select only one option. •Rich Text Field: Allows users to enter rich text. •Static HTML Content: Allows user to enter HTML content. •Static HTML Content: Any text placed in the Value field is included as static text. •Text box: Places a text box on the form. The text box allows 255 characters. •Label: This is the name for the field. •Visible: Check this option to display the field on the Volunteer Opportunities page on your Arena- managed website. •Required: Check this option to make the field required. 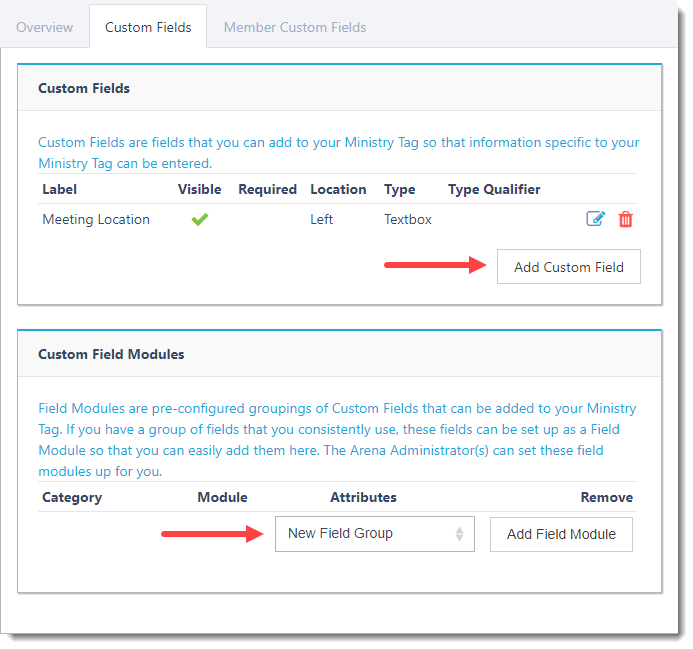 •Type: This option is where you can select the type of Custom Field. Options are the same as Tag Custom Fields. 2. 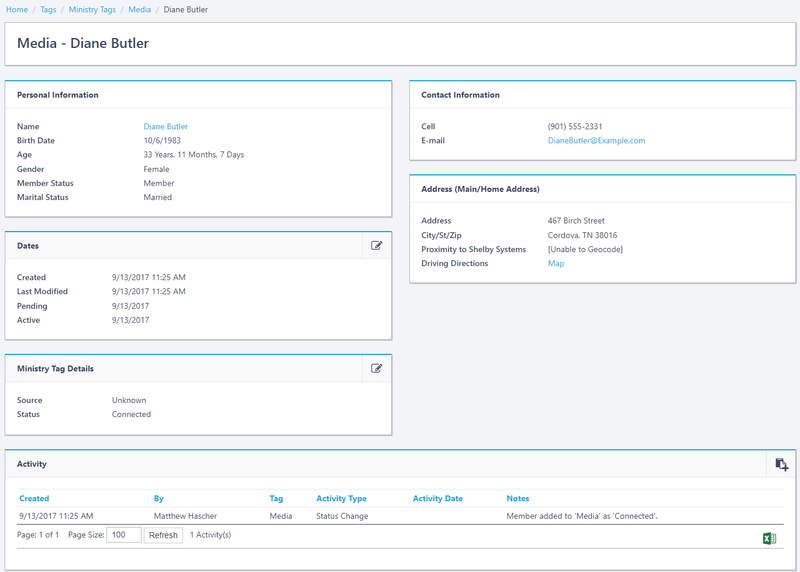 When you have finished entering all appropriate information into the Overview, Custom Fields, and Member Custom Fields tabs, then click the Update button at the bottom of the page to save your changes. Subscriptions are user specific links you can add to Arena’s home page. 1. You can subscribe to a Tag by checking the Subscribe check box next to any Tag. 2. After subscribing to a tag, select the Refresh Cache option from the Login menu icon in the upper right-hand corner. 3. Hover over the Subscribed Tags icon in the upper right-hand corner to view the corresponding tag subscriptions. There is an Unsubscribe icon to the right which allows you to remove this tag from the Subscribed Tags listing. For Ministry Tags, the numbers represent (Pending Members, Active Members). For Event Tags, the numbers represent (Non-connected registrants, Event Tag Registrants). For Serving Tags, the numbers represent (Prospective Volunteers with a specific tag status, Critical Prospective Volunteers, People with the status of "connected" in the tag). 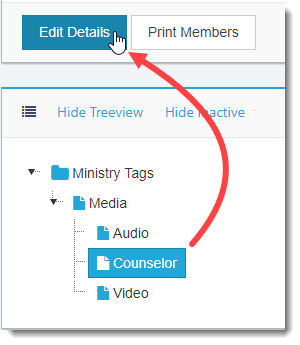 The following steps walk you through changing the Parent Tag from the "Media" tag to the "Ministry Tags" folder. 1. 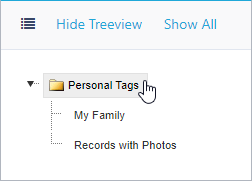 Select the tag on the Treeview and then click the Edit Details button. 2. Click the Search icon for the Parent field. 3. Assign the tag to the correct parent (e.g. Ministry Tags) under the Arena Tags heading and then click the OK button. 4. Confirm that the correct parent tag is assigned on the Overview tab and then click the Update button when you are finished. After adding a Ministry tag, there are several tabs of information: Tag, Members, Security, Occurrences, Attendance Summary, Roster (optional), and Documents. Let's take a look at how to add a record on the Members tab. 1. On the Members tab, click the Add New Member icon to search for names. After clicking the check box next to a name, click the Select button. 2. The member is displayed on the grid listing. Click the Name link to view an abbreviated personal information page. NOTE: Records added directly to the tag have a default Status of "Connected". There are 6 areas of information that can be viewed and edited on the abbreviated personal information page. •Personal Information: Displays the individual’s name, birthdate, age, gender, member status and marital status. •Dates: Use the available dates to identify the dates applicable to this tag for each individual in the tag. 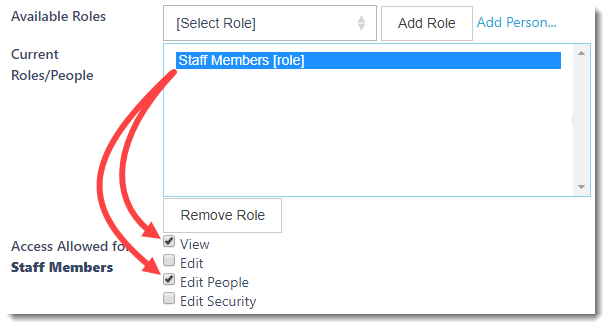 �In Process: Select this option if the member is not connected yet. It could be used to show that the member is interested in this ministry tag and/or that the member is in a process of being approved or assigned to the ministry tag. 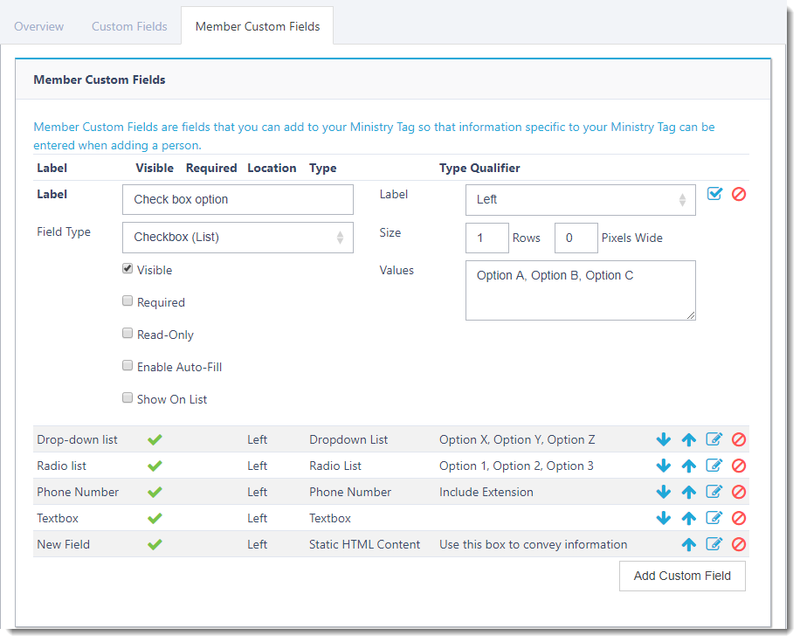 �Connected: Select this option if the member is actively connected with the ministry tag. �Inactive: Select this option if you want to keep the member assigned to the tag but do not want the member to display on reports or grid listings. This is a good choice if you want to keep the tag history for a member instead of deleting the member from the tag. •Contact Information: This section displays the individual’s active home numbers. •Address: This section displays the individual’s main/home address. •Activity: Displays the activity associated with the tag for this member. 3. After viewing the abbreviated personal information page, click the tag in the breadcrumb trail (e.g. Media) to return to the Tag Information page. 4. Next, click the Members tab. Notice the number of members added to the tag displays next to the Members label (e.g. Members ). 5. Continue clicking the Add New Member icon to add more members to this tag. NOTE: The Members name displays the "Last Name, Nick Name". If the tag member does not have a Nick Name, then the First Name displays. You can click on the Filters section of the Members tab if you want to filter which members display on the grid. Click the Apply Filter button after making your selections. The Security tab is used to control who has rights to view and edit a tag. 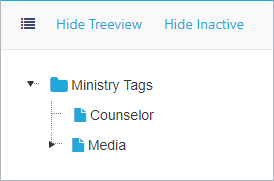 The Security tab is available for Ministry, Serving, and Event tags. Personal tags are only viewable by the person who setup the tag; therefore security does not apply. 1. Click the Edit Security button to setup or modify the security permissions for a tag. The security access is divided into 4 check boxes: View, Edit, Edit People, and Edit Security. •View: This access allows users to the view the tag. •Edit: This access allows users to edit the tag details. •Edit People: This access allows users the ability to edit people in the tag. •Edit Security: This access allows users the ability to edit security for the tag. Each security role or user can be assigned security access independently of each other. 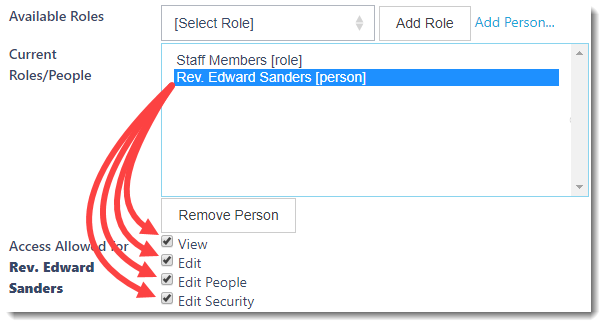 For example, you can set the Security Role of "Staff Members" to only have View and Edit People access to a ministry tag. 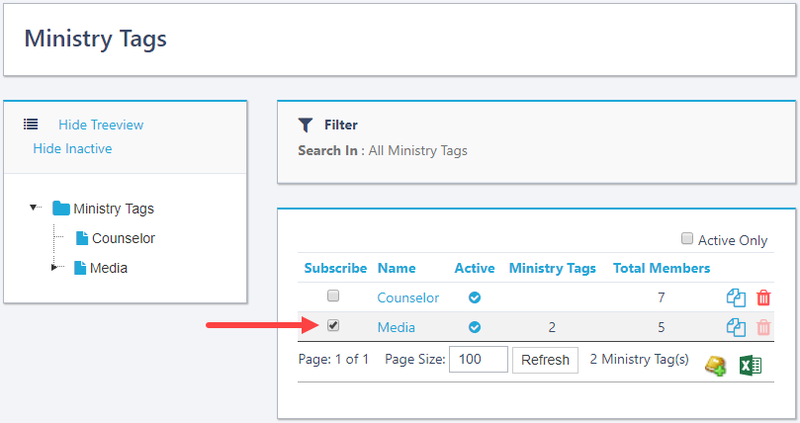 Or, you can set a user such as your pastor to have all (View, Edit, Edit People, & Edit Security) rights to a ministry tag. 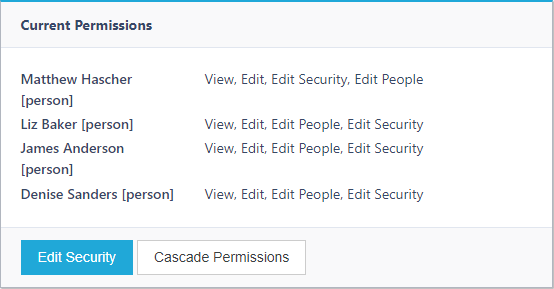 After security has been setup, you can click the Cascade Permissions button to set the same permissions to all the child tags under the current tag. NOTE: After clicking the Cascade Permissions button, you can go to any of the child tags and further customize the permissions if you want. 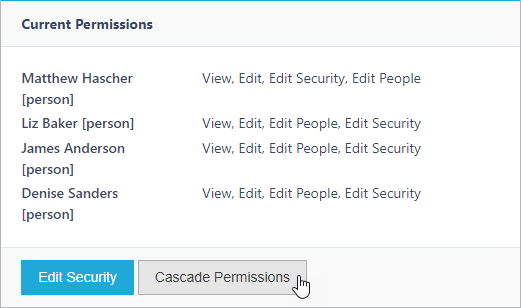 Just know that when you click the Cascade Permissions button, it overrides any of the permissions on the child tags with the permission assigned to the current tag. When creating a child tag, the child tag inherits the permissions of it's parent tag. 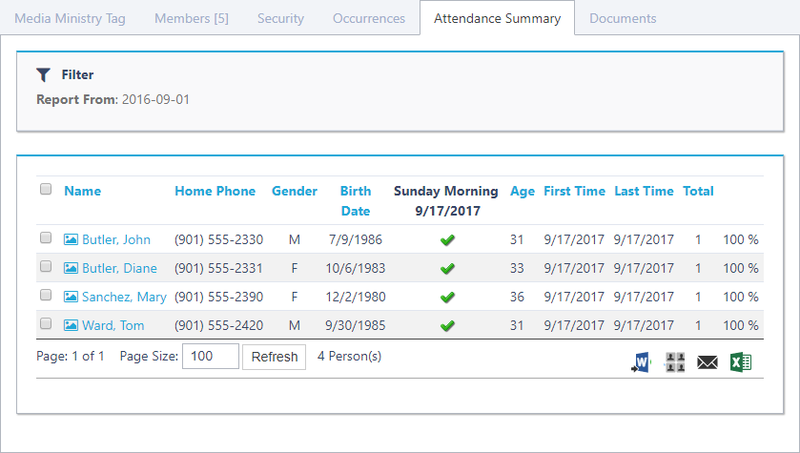 You can use Occurrences to track attendance and meeting dates (just like Group Occurrences). •Click the Add New Occurrence icon to add a new occurrence. •Click the Generate Multiple Occurrences button to add multiple occurrences. This tab displays a summary of occurrences for all people in the Tag or Group. There are filters that control which records display on this tab. 1. Click the Filter bar to change the date range or other criteria. 2. After setting the Filter criteria, click the Apply Filter button. 3. 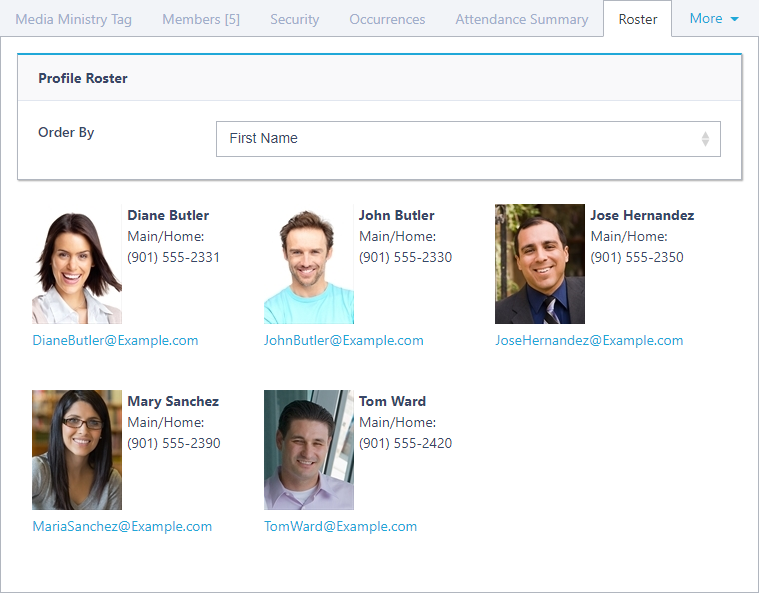 The Attendance Summary grid lists the members for the filtered criteria. Click the Name link to view an abbreviated personal information page. Action icons are located at the bottom right-side of the Attendance Summary grid. These icons can be used to perform a Word Mail Merge, Bulk Update, Send Email, or Export Data to Excel. After selecting members from the list, click the corresponding icon. The Roster tab is available for Ministry, Personal, and Serving Tags. From this tab, you can sort the results by Last Name, First Name or Date Added. Viewing the Roster is a quick way to see the pictures of those members assigned to a tag. The Main/Home phone number and email address are also displayed for each member. 1. 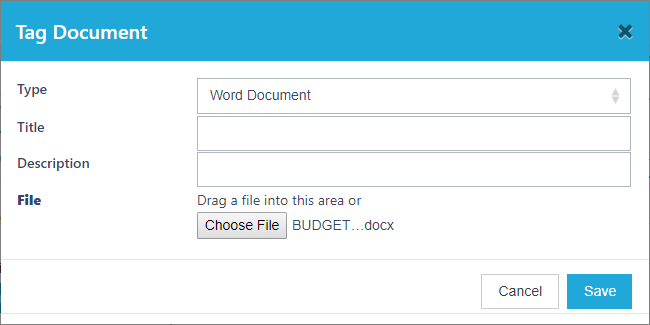 To add a document, click the Add Document button. 2. Specify the File location and then click the Save button. NOTE: There are optional fields for the Type, Title, and Description. •Click the Edit icon to make changes to the Type, Title, Description, or File Location. •Click the Delete icon to remove the document. 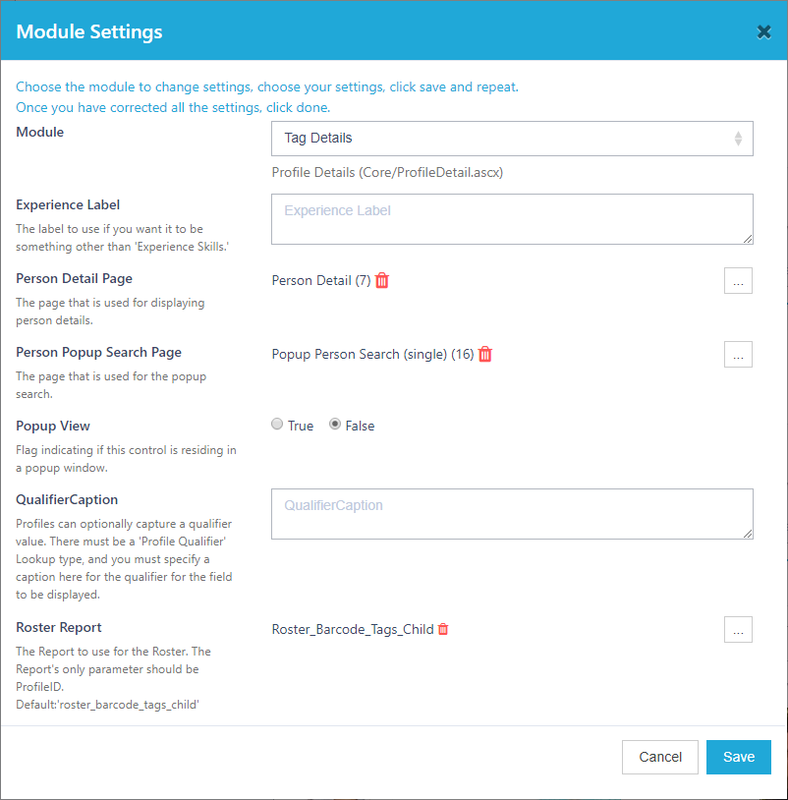 Module Settings control some of the aspects of the page you are currently viewing. 1. 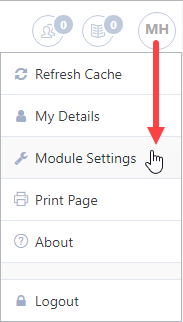 To change the Module settings, click the Navigation button (contains your initials) in the upper right-hand corner and then select the Module Settings option. For your reference the Tag Details and Tag Tab Control module settings are listed below.